Empress Ki The story of the woman that would become Empress Ki, and her struggles as she worked her way through war, political conspiracies, and the imperial palace to become Empress of China. This Korean Drama re-imagines the historical figure as a fierce, independent woman who goes to extreme lengths to protect those she loves. I Can Hear Your Voice I Can Hear Your Voice is a 2013 South Korean television series starring Lee Bo-young, Lee Jong-suk, and Yoon Sang-hyun. It aired on SBS from June 5 to August 1, 2013, on Wednesdays and Thursdays at 21:55 for 18 episodes. Originally set for 16 episodes, due to its successful ratings the series was extended by 2 episodes. Good Doctor Good Doctor is a 2013 South Korean medical drama television series starring Joo Won, Moon Chae-won, Joo Sang-wook, Chun Ho-jin, Kwak Do-won and Ko Chang-seok. 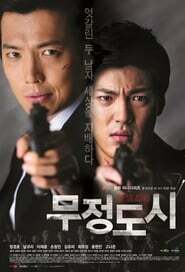 It airs on KBS2 on Mondays and Tuesdays at 21:55 for 20 episodes beginning August 5, 2013. Joo Won plays an autistic savant who becomes a genius pediatric surgeon. The early working title was Green Scalpel.